If you need or wish to have something that last longer than a cake then maybe you will find something of interest here. Pretty Ickle Gifts came into being initially as I began to marry my passion for cake and treat making into creating longer lasting gifts that can last. 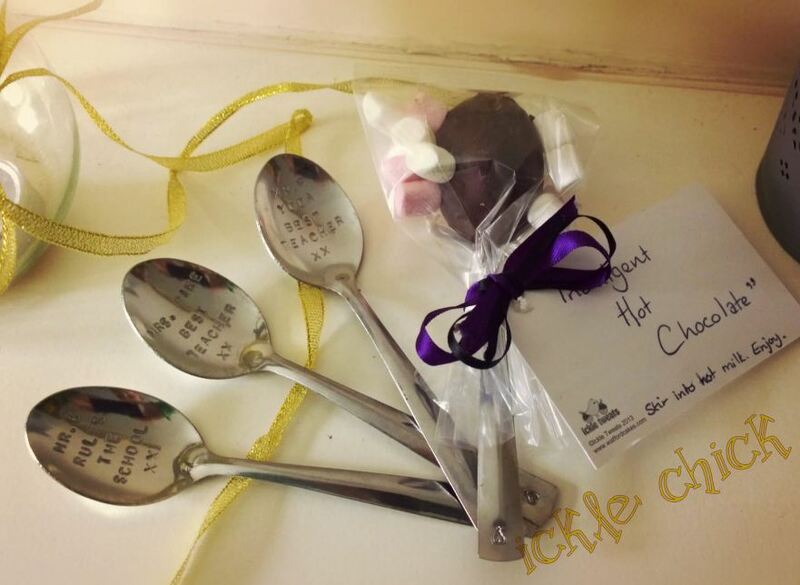 For example here we have an indulgent chocolate treat but with engraved spoons that will serve to mark the occasion and provide a lasting memory. There are other gifts in my range too, all of them are hand made, particularly the ‘Frames’ which can depict just about anything you like. Favourites include the Scrabble messages and the Lego creative’s, lovely lasting gifts with a difference. What a great present for those special occasions like Fathers Day or Mothers Day or just to give a special message to someone you love. Take a look at some examples, if you see something you like but need it personalising let me know.